Iris Explorer S1 | SARRAS e.U. Der Iris Explorer is the result of a long-term development of the manufacturer Iris Lab . He started the development in 2003 and set himself the goal of developing the best possible equipment for iris photography using a SLR camera. 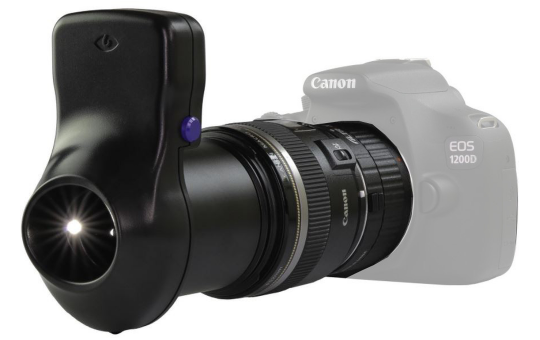 Meanwhile, he has achieved his goal and delivers a product with a good price/performance ratio, which can be used with a standard Canon EOS camera. 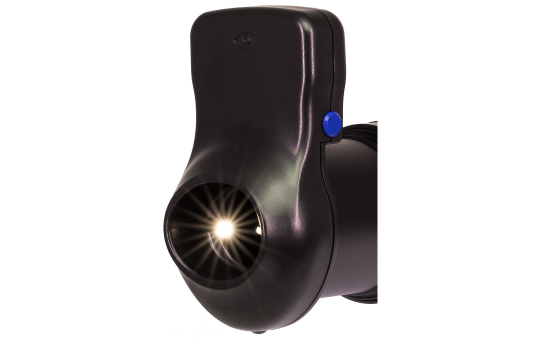 The controllable iris lighting fixture and the use of a high-quality Canon Macro lens allow iris captures in a quality that exceeds the requirements of most applications. The solution is compact and mobile - it can be taken with anywhere in a photo case. Extension Macro Tube: Extension ring mounted between the camera body and the lens, increasing the distance between the camera sensor and the end of the lens. This makes it technically possible to focus closer to the object (iris). The camera is not part of the delivery. 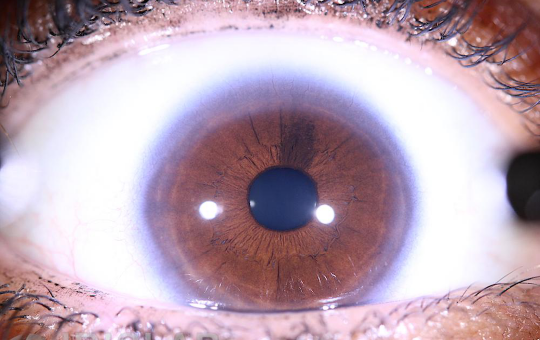 In the pictures above you can see some photos of the manufacturer for light and dark irises. We carried out our own test recording with a demo device in compliance with the manufacturer's recommendations for camera settings. 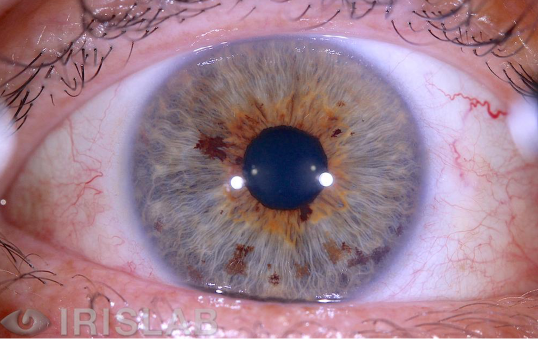 We connected a Canon EOS 60D to the Iris Explorer and photographed the most difficult type of iris (dark brown) - then have cut off the area around the iris (black). 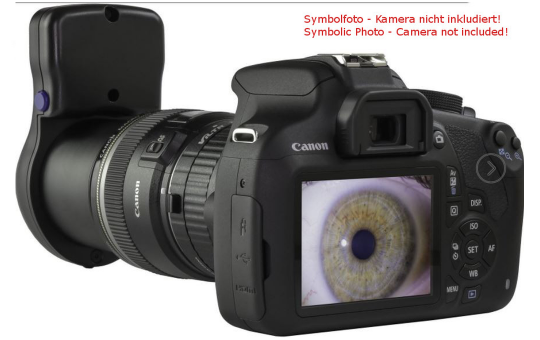 To operate the Iris Explorer, you need a Canon EOS camera - it must be an EOS camera model with sensor size APS-C (for example, Canon EOS 60D, 80D, 100D, 700D, 1000D, 1300D, etc.). 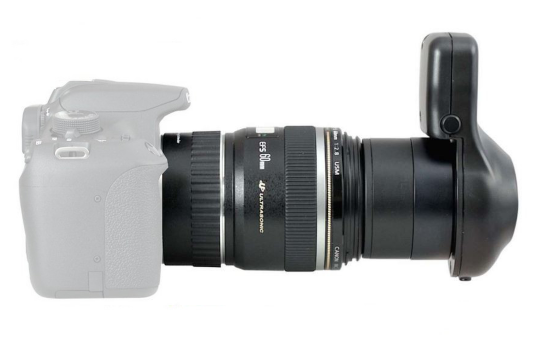 EOS models with full-size sensors can not be used because the lens used is matched to their APS-C sensor size. In the following chapters you will find manufacturer information and video instructions for the correct operation of the Iris Explorer. Please read them carefully for the best results. You must operate your camera in manual mode (set the mode dial to "M", see camera instructions). Depending on the iris color, the manufacturer recommends setting the settings according to the following table. If you are unsure, start a test scan with the medium setting (which you should also use as the default setting) and then gradually change the shutter speed/aperture. Please note that manual mode operation is the only way to get high quality photos. The following manufacturer video shows how the three parts of the Iris Explorer are put together; the delivered parcel contains already the assembled system. The following manufacturer video shows you set up the camera to operate with the Iris Explorer. When the Iris Explorer LED flashes, it is a sign that you need to change the battery. The product includes a 2 mm Allen Key, which helps to change the battery. You need a standard 9V block battery. The following manufacturer video demonstrates the battery change.